Among the Wisdom Literature of the Old Testament, Proverbs, Ecclesiastes and the Song of Solomon were all thought by the early church fathers to have derived from the hand of Solomon. 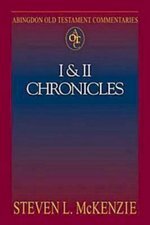 To their minds the finest wisdom about the deeper issues of life prior to the time of God's taking human form in Jesus Christ was to be found in these books. As in all the Old Testament they were quick to find types and intimations of Christ and his church which would make the ancient Word relevant to the Christians of their day. Of extant commentaries on Ecclesiastes none is so profound as the eight homilies of Gregory of Nyssa, even though they cover only the first three chapters of the book. Joining Gregory among those most frequently excerpted in this volume are Augustine, Ambrose, Gregory the Great, Origen, John Cassian, John Chrysostom, Athanasius, Bede the Venerable and Jerome. 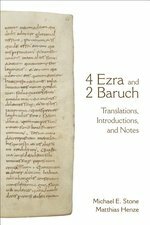 Gregory of Nazianzus, Basil the Great and Cyril of Jerusalem lead a cast of other less frequently cited fathers, and then there remains a large cast of supporting players, some of whose work is translated here into English for the first time. This volume edited by J. Robert Wright thus offers a rich trove of wisdom on Wisdom for the enrichment of the church today. The Psalms have long served a vital role in the individual and corporate lives of Christians, expressing the full range of human emotions, including some that we are ashamed to admit. The Psalms reverberate with joy, groan in pain, whimper with sadness, grumble in disappointment and rage with anger. The church fathers employed the Psalms widely. In liturgy they used them both as hymns and as Scripture readings. Within them they found pointers to Jesus both as Son of God and as Messiah. They also employed the Psalms widely as support for other New Testament teachings, as counsel on morals and as forms for prayer. Especially noteworthy was their use of Psalms in the great doctrinal controversies. The Psalms were used to oppose subordinationism, modalism, Arianism, Apollinarianism, Nestorianism, Eutychianism and Monophysitism, among others. More than fifty church fathers are cited here from Ambrose to Zephyrinus. From the British Isles, Gaul and the Iberian Peninsula, we find Hilary of Poitiers, Prudentius, John Cassian, Valerian of Cimiez, Salvian the Presbyter, Caesarius of Arles, Martin of Bruga, Braulio of Saragossa and Bede. From Rome and Italy, we find Clement, Justin Martyr, Callistus, Hippolytus, Novatian, Rufinus, Maximus of Turin, Peter Chrysologus, Leo the Great, Cassiodorus and Gregory the Great. 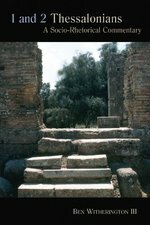 Carthage and North Africa are represented by Tertullian, Cyprian, Augustine and Fulgentius. Fathers from Alexandria and Egypt include Clement, Origen, Dionysius, Pachomius, Athanasius, Cyril and Poemen. Constantinople and Asia Minor supply the Great Cappadocians--Basil the Great and the two Gregorys, from Nazianzus and Nyssa--plus Evagrius of Pontus and Nicetas of Remesiana. From Antioch and Syria we find Ephrem, John Chrysostom, Theodore of Mopsuestia, Theodoret of Cyr, Philoxenus of Mabbug, Sahdona and John of Damascus. Finally, Jerusalem, Palestine and Mesopotamia are represented by Eusebius of Caesarea, Aphrahat, Cyril, Jacob of Sarug, Jerome and Isaac of Nineveh. 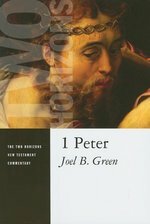 Readers of these selections, some appearing in English for the first time, will glean from a rich treasury of deep devotion and profound theological reflection. From early on the book of Revelation was more widely accepted in the West than in the East. 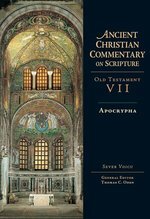 Indeed the earliest extant commentaries on Revelation in Greek date from Oecumenius's commentary in the sixth century, which was soon accompanied by that of Andrew of Caesarea. Earlier Eastern fathers did, however, make reference to Revelation in noncommentary works. 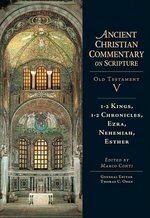 This ACCS volume edited by William C. Weinrich draws heavily on the two Greek commentaries from Oecumenius and Andrew of Caesarea to represent Eastern interpretation, while focusing on six other commentaries as primary witnesses to Western interpretation--those of Victorinus of Petovium, Tyconius, Primasius, Caesarius of Arles, Apringius of Beja and Bede the Venerable. Every effort has been made to give adequate context so that the creative use of Scripture, the theological interest and the pastoral intent can be discerned by readers today. 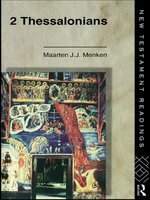 Amid this treasure trove of early interpretation readers will find much that appears in English translation for the first time. St. Paul's Letter to the Romans has long been considered the theological high-watermark of the New Testament. 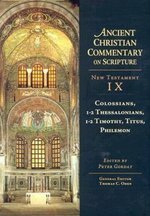 It was no less regarded by the ancient church, and patristic interpreters have left us an abundance of valuable comment on Romans. Outstanding among these commentators is "Ambrosiaster, " the name given to the unknown Latin commentator of the late fourth century, whose enduring worth is evident to all who read him. And the extensive commentary by Origen, largely inaccessible to modern readers, is frequently and extensively presented here in English for the first time. These commentators are joined by great figures such as John Chrysostom of Constantinople, Theodore of Mopsuestia, Augustine of Hippo, Theodoret of Cyrus, and several lesser commentators such as Diodore of Tarsus and Didymus the Blind of Alexandria. 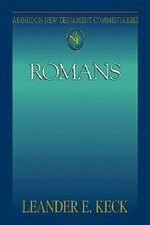 This commentary on Roans provides a rare opportunity to encounter the familiar Pauline exposition of the righteousness of God as it echoes in the great Christian minds and communities of the early church. Respected New Testament scholar Darrell L. Bock provides a substantive yet highly accessible commentary on Acts in this latest addition to the acclaimed BECNT series. 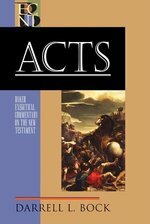 With extensive research and thoughtful chapter-by-chapter exegesis, Bock leads readers through all aspects of the book of Acts--sociological, historical, and theological. His work blends academic depth with readability, making it a useful tool for students, teachers, scholars, and pastors alike. 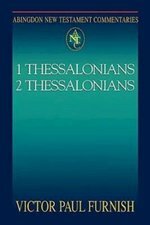 A user-friendly design with shaded text and translations of the Greek text make this commentary engaging and easy to use. 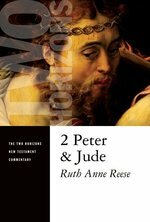 The result is a guide that clearly and meaningfully brings this important New Testament book to life for contemporary readers.